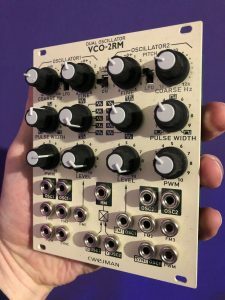 “CWEJMAN VCO 2RM Dual Oscillator EURORACK MODULAR SYNTHESIZER Module. These are super rare and this is something that I am letting go with great remorse. The sound quality is second to none.